Whilst our diet should be able to meet all our nutritional requirements, in reality this is often difficult to achieve. Our modern lifestyle, mass market convenience foods and intensive farming techniques mean that the nutritional content of food has fallen sharply. Selected health supplements can augment nutritional intakes from the diet to help maintain wellbeing and promote better health and quality of life. Supplementation of key nutrients can support everyday health and wellbeing and guard against shortfalls from the diet and ensuring optimal intakes of vitamins, minerals and other important nutritional factors. The foundation of a good supplement regime should provide a spectrum of key nutrients to support general health and lifestyle factors as well as specific supplements to suit individual requirements, such as those who have a particular lifestyle choice like vegetarians or vegans or anyone with food intolerances. A good comprehensive multi-nutrient formula should provide all the key vitamins and minerals needed to support optimal wellbeing. It contains nutrients such as B vitamins and vitamin C that contribute to the reduction of tiredness and fatigue and help increase the body’s resistance to stress. 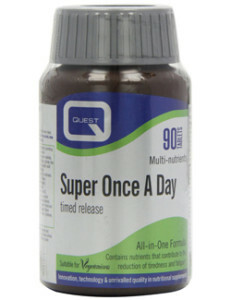 A good multi-nutrient also provides nutrients to support immune function and protect body cells against oxidative stress to minimise the environmental impact of delicate body tissues such as skin “All-in-one” formulas designed to augment dietary intake, are particularly useful in times of stress, or for those at risk of nutritional deficiencies such as those with special dietary requirements or for anyone following a weight loss management programme where calorie intake is restricted. Supplementing with essential fatty acids is recommended to protect heart, skin and joint health. The omega 3 fatty acids found in fish oil contribute to the normal function of the heart and have anti-inflammatory actions helping to support joint health, reduce pain and stiffness and improve mobility. Omega 6 fatty acids found in plant oils such as evening primrose and borage oils are also involved in inflammatory responses in the body, normal blood coagulation processes and general skin health. Antioxidant nutrients contribute to the protection of body cells from oxidative stress. The body generates free radicals as inevitable by products of producing energy from food, they are also found in the air we breathe and the environment and are even generated by the action of sunlight on the skin and eyes. 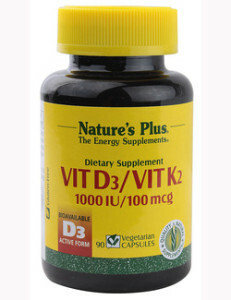 Our natural protection comes in form of antioxidant nutrients such as vitamin C, E, selenium or zinc. Probiotic bacteria support digestive, gut and immune health and help restore a positive balance of friendly bacteria in the gastrointestinal tract which can be disrupted by poor diet, stress or use of drugs. 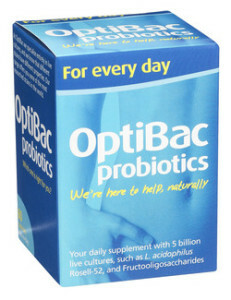 A probiotic supplement is recommended for use as an adjunct or following antibiotic treatment. Probiotic bacteria support and regulate immune response and may contribute to reducing the risk or duration of infections or alleviate symptoms of immune based conditions such as allergies. Maternal probiotic supplementation during pregnancy has been shown to significantly reduce the development of atopic conditions in infants. A well balanced healthy diet should aim to provide the best nutritional intake available. Eating as wide a variety of foods as possible increases the range of nutrients ingested. Never skip breakfast and avoid missing meals. Chewing food thoroughly ensures proper digestion and helps bulk up food to make you feel fuller quicker. Eat sources of essential fatty acids and other good polyunsaturated and monounsaturated fats. Include foods such as olive oil, oily fish, avocados, seeds and nuts. Restrict intake of refined carbohydrates and sugars. Choose sources of complex carbohydrates such as beans, oats, lentils, brown basmati rice and wholegrain seeded breads. Reduce sodium (salt) intake by eating less processed/pre-prepared foods and avoid adding salt to meals. Include an abundance of antioxidant rich colourful plant foods in the diet such as berries, green leafy vegetables, tomatoes, sweet peppers, carrots. Regular physical activity will help increase wellbeing and condition. Low impact exercise that increases heart rate but that can be sustained for a more prolonged period, such as brisk walking, is the most effective for fat burning; strength training, such as weight lifting, builds muscle mass which increases calorie needs to help weight management, bone density, heart health and muscle tone.